Watson 520U R2 Variable Speed Control Peristaltic Pump Laboratory IP31 . New Life Scientific, Inc. This Watson 520U is in excellent cosmetic condition and arrived with the plastic pump cover missing. The functionality of this instrument is not compromised, but the safety concern should be considered that the handler's clothing or other foreign objects may get caught in the pump. New Life Scientific technicians powered this instrument on and noted that the screen displays a crisp image. The membrane keypad has responsive buttons. The pump was tested at the maximum and minimum speed settings and operated flawlessly. 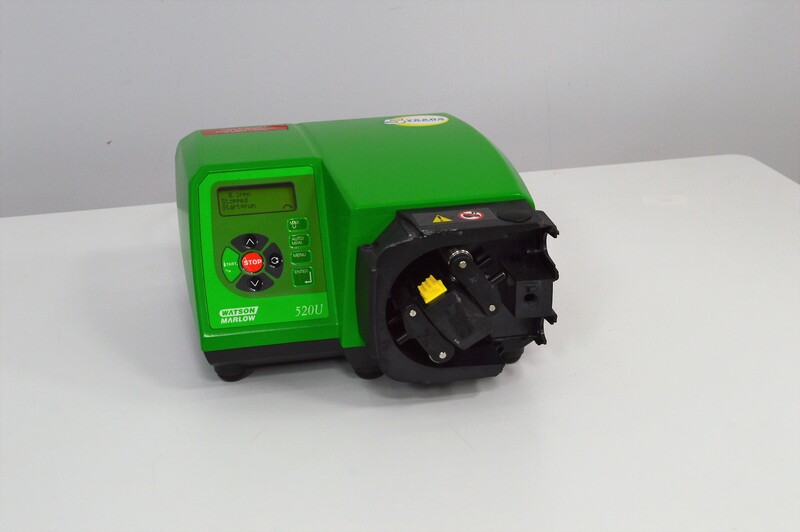 This peristaltic pump is fully functional and ready for laboratory applications.